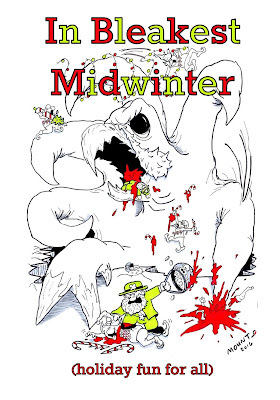 This is just to note that I've put my silly little holiday funnel-type adventure thing, "In Bleakest Midwinter," up on Lulu (link). I also have it in review for placement on RPGNow/DriveThruRPG. Free on both, of course, and still available straight from Google Drive here. While it's a very (and did I mention, very?) amateur product, I figure it can't hurt visibility to put it places where people actually go looking for stuff like that. It's cool to finally learn a bit about the self-publishing process, too.